While parents and educators keep a nervous eye on the Doug Ford government to see what it does with all-day kindergarten and class sizes, the chair of The Peel District School Board says it has been kept in the dark about possible cuts to education. “We know that the government is consulting right now. But that is all we know. We don’t know what that means. We don’t know what the consultations will result in,” Stan Cameron told The Pointer Monday. The province’s silence about its cooperation with education boards left a spokesperson for the Dufferin-Peel Catholic District School Board, Bruce Campbell, guarded about what the consultations might mean for local educators and families, but he made clear that full-day learning for four and five-year-olds is not something the board and its families want to lose. “The DPCDSB has been very supportive of the introduction of the full day learning program,” his emailed statement reads. 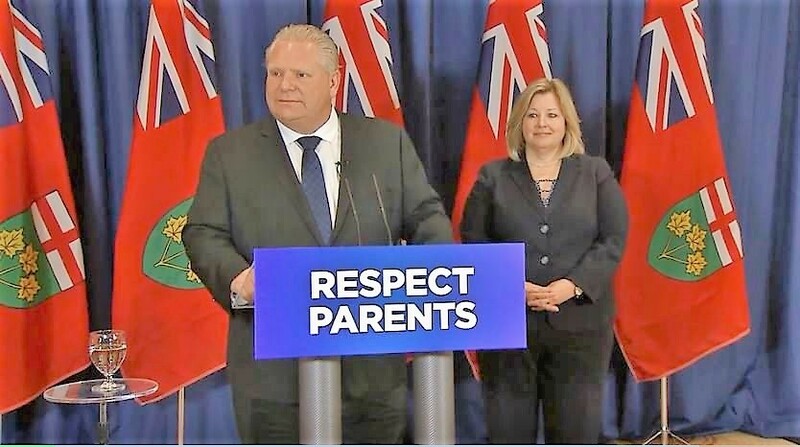 In the Ford government’s latest effort to find “efficiencies” within provincial institutions, all-day kindergarten could be the latest program to land on the PCs’ chopping block. At the beginning of last week Ford’s government would not guarantee the full-day program would survive beyond the next school year. Minister of Education Lisa Thompson, after her government hinted last week they would be looking into the program, used clearer language about the future of Ontario’s wildly popular all-day kindergarten system, after a province-wide backlash last week following news that it could be at risk. Trimming the provincial deficit has been a rallying cry for the Ford Conservatives ever since they announced the previous Liberals had underreported a roughly $15 billion deficit — although a financial watchdog says the deficit is closer to $12 billion. Many families across Ontario still remember and are still feeling the impact of deep cuts to the public education system two decades ago under the leadership of former premier Mike Harris, who used his "Common Sense Revolution" as justification to cut or reduce funding across the public school system. Many education experts say Ontario boards still have not recovered, but initiatives by the Liberals to invest billions of dollars back into the system for programs such as all-day kindergarten and smaller class sizes, have reversed some of the damage done by the PCs. But now, it appears Ford is following the lead of Harris, the model Ontario's current premier uses for much of his leadership style and his approach to fiscal policy. 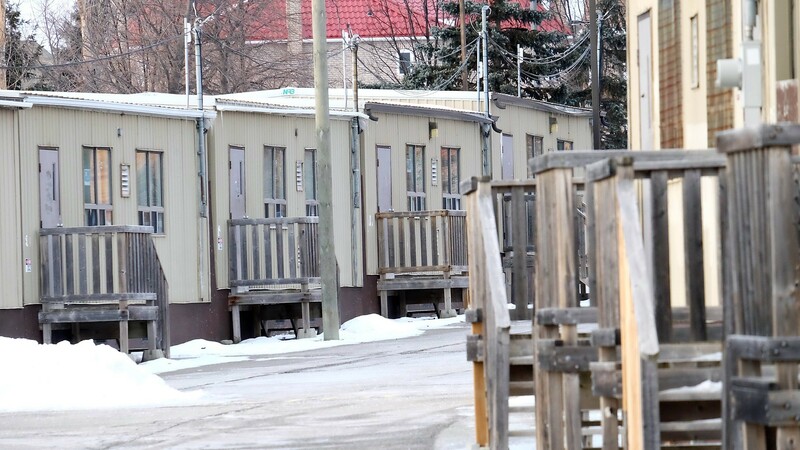 Brampton's already packed schools, overflowing with portable units, can't handle much more stress on an already stretched public education system. Educators are wary of what Ford might do. “I think what the government has been doing with respect to consultations is to see if they can do this job…less expensive. Because they keep talking about needing to look at things like class sizes. I think they are trying to save money. I’m not sure that that’s an improvement, but I don’t know what that will mean,” Cameron said. The policy was gradually rolled out under the McGuinty Liberals and fully replaced the old half-day system by 2014, under former premier Kathleen Wynne. At the time, the move was hailed as a game-changer for working parents who had resorted to expensive daycare to supervise their children during work hours. The program costs taxpayers $1.5 billion annually. Part of the framework also included a two-educator model with teachers and early childhood educators assigned to each kindergarten classroom and sharing the responsibility for the pupil’s learning. An early childhood educator focuses more on a child’s cognitive and social development, whereas a teacher focuses on the teaching of subject matter under the education curriculum established by the province. Despite the ambivalence of many Conservative politicians toward the program, studies have shown that all-day kindergarten comes with many benefits. A 2017 study conducted by Janette Pelletier of the Ontario Institute for Studies in Education showed that full-day kindergarten “has lasting benefits for children’s behaviour as well as their learning. Children in this program scored higher on reading, writing and number knowledge than those in a half-day program and remained ahead until the end of Grade 2,” establishing positive learning foundations during the key early ages when educational habits are formed that can last for the rest of one’s life. Just the previous week, Thompson was also eyeing classroom size caps; a move met with much anxiety within Brampton. Classrooms in the city are already at the limits set by current caps and teachers in the city’s packed schools are already spread as thin as current guidelines allow. “In kindergarten, specifically, students are provided with a learning environment that promotes a calm and engaging space to lead their learning. Choices of indoor and outdoor play, and when to eat and find calm spaces can empower students to lead their learning,” said Cameron, who grew up impoverished in Toronto and then became a college psychology instructor before becoming a Peel school trustee almost a decade ago.